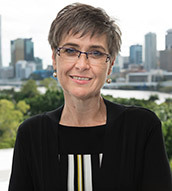 Professor Anne Tiernan is the Dean of Engagement and Director of the Policy Innovation Hub at Griffith University. A political scientist, with earlier careers in government in the Commonwealth and Queensland, and in teaching and consultancy, Anne is respected for her independent, professional and research-informed analysis and commentary on national politics, public administration and public policy. Anne is author and co-author of five books including: Lessons in Governing: A Profile of Prime Ministers’ Chiefs of Staff, The Gatekeepers: Lessons from Prime Ministers’ Chiefs of Staff, Learning to be a Minister: Heroic Expectations, Practical Realities, Power Without Responsibility: Ministerial Staffers in Australian Governments from Whitlam to Howard, Caretaker Conventions in Australasia: Minding the Shop for Government. With Julianne Schultz, Anne edited Fixing the System, the most recent edition of Griffith Review. Professor Tiernan is a National Fellow of the Institute of Public Administration Australia, a Fellow of the Australia and New Zealand School of Government and a Graduate of the Australian Institute of Company Directors. She served on the Board of the Queensland Public Service Commission from 2008-12 and was a Member of the Public Records Review Committee of the Queensland State Archives from 2012-16. 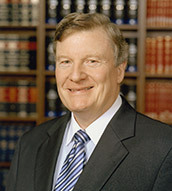 Walter Tutt is a solicitor and former Judge of the District Court of Queensland. He was admitted as a solicitor of the Supreme Court of Queensland in 1965 and was subsequently admitted as a solicitor of the High Court of Australia. He became a Judge of the District Court of Queensland in 2004 where he served until his retirement in 2012. Walter became an honorary member of the Queensland Law Society in 2007 and has significant experience in law and industrial relations. Karyn Walsh is CEO of Micah Projects, a regional not for profit in Brisbane. Micah Projects is a key agency within the specialist homelessness services system of Brisbane providing a range of services to prevent, manage and end homelessness with individuals and families. In addition Micah Projects provides services to Families, Women and children as well individual support services to residents of privately owned supported accommodation facilities, individuals with disability support packages and Forgotten Australians. As an organisation Micah are committed to implementation of evidence based practice learning from the people we support, our workforce and other local, national and international practitioners, researchers and advocates. 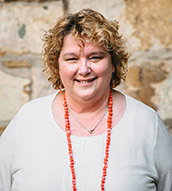 Karyn has worked in the not for profit sector for 37 years as a practitioner and a manager.